Mac letting is a dedicated local letting agent based in Mexborough in the heart of the Dearne Valley. With over 7 years experience serving the communities across the area, offering a quality, reliable and local service to all those requiring private lettings in any circumstance. Currently we are managing over 150 properties across the Dearne Valley and bordering into Doncaster, Rotherham and Barnsley. Properties range from 1 bedroom flats to 5 bedroom detactched houses with rent plans to suit all budgets. All benefits and local housing allowances are considered under our fair let system. We are constantly seeking new properties to manage which in turn extends the choice and availability we can offer our tenants. We pride ourselves on our professionalism and efficiency in finding property for tenants and tenants for properties. 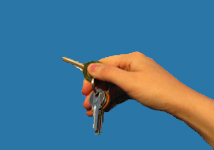 We also offer services for Landlords wishing to let their properties through our property management services. Full details on these services can be found on our Landlord page.